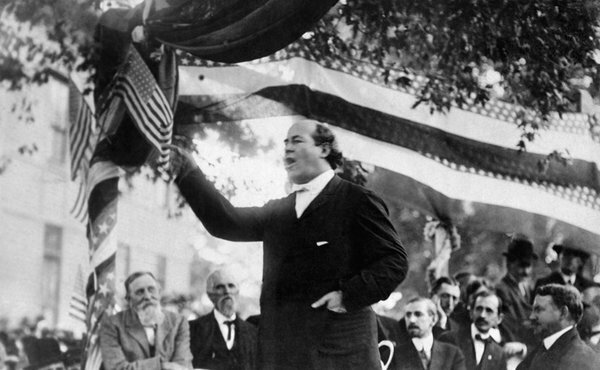 William Jennings Bryan, the three-time presidential candidate at the turn of the 20th century. As the 2012 presidential campaign takes shape, we’ll give historical context to our current politics by taking a look back. This Friday night, C-SPAN debuts the first LIVE program in our new history series The Contenders. To help connect the discussion to today, we’ll also see clips from House Speaker John Boehner, former Speaker Nancy Pelosi, and Kentucky Senators Mitch McConnell and Rand Paul talking about Clay and his relevancy almost 160 years after his death. Henry Clay, James G. Blaine, William Jennings Bryan, Eugene Debs, Charles Evans Hughes, Al Smith, Wendell Willkie, Thomas E. Dewey, Adlai Stevenson, Barry Goldwater, Hubert Humphrey, George Wallace, George McGovern, and Ross Perot. Watch this Friday at 8 pm ET on C-SPAN, c-span.org, and C-SPAN Radio. The program re-airs Friday night at 11 pm on C-SPAN. A new C-SPAN series starting this month called “The Contenders” profiles failed presidential candidates who still managed to change political history. Gwen Ifill discusses the presidential race losers with George Mason University’s Richard Norton Smith and RealClearPolitics.com’s Carl Cannon. U.S. presidential campaigns always produce a winner — 43 men have served, one of them twice, as the nation’s commander in chief.History books pay less attention to the losers, even though many had an outsized impact on the election and on the national debate. A good number of them turned out to be ahead of their times. Beginning Sept. 9, a new C-SPAN series titled “The Contenders: They Ran and Lost but Changed Political History,” will examine 14 of the losers who turned out to be influential, even in defeat. 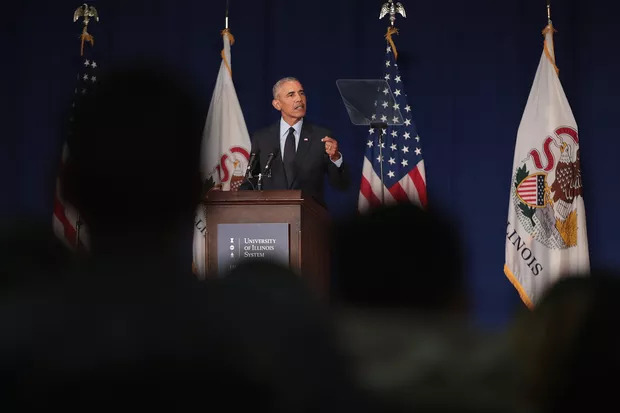 Richard Norton Smith, scholar in residence at George Mason University, is an adviser to the series, and Carl Cannon is Washington editor for the political website RealClearPolitics.com. Well, it has famously been said, the winners write the history books. And there’s a lot of truth to that. More important, there are people who lost in the immediate sense, but who turned out not only to be ahead of their time, but in fact were catalysts for political transformations, the most recent example certainly being Barry Goldwater, who carried six states against Lyndon Johnson in 1964, and yet who planted the seeds of a conservative movement that arguably has yet to crest….. I think Henry Clay may be the best president we never had. Well, Abraham Lincoln said, “He was my beau ideal of a statesman.”He was a constructive force first part of the 19th century. He’s the bridge between Alexander Hamilton and Abraham Lincoln, the idea that government had a significant role to play. I mean, it’s curious. Conservatives in the 19th century believed in using government as an agent of capitalist development…. Clay was like the speaker of the House on the day he arrived in the House of Representatives, he, of course, known as the great compromiser. The last one in 1850 arguably delayed the Civil War for 10 years, which gave the North an opportunity to become that much stronger, and, equally important, allowed Abraham Lincoln to emerge from obscurity…. 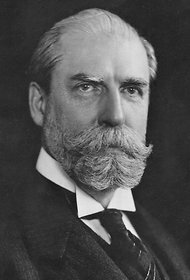 Charles Evans Hughes…. A very successful governor of New York, reformer beginning in the 20th century. Then he was put on the Supreme Court, left the court in 1916 to run a very close race against Woodrow Wilson. He went back to service in the 1920s as secretary of state under two presidents. But his greatest contribution, arguably, his greatest historical significance, came in 1937 when FDR tried famously to pack the Supreme Court. Hughes was then chief justice. 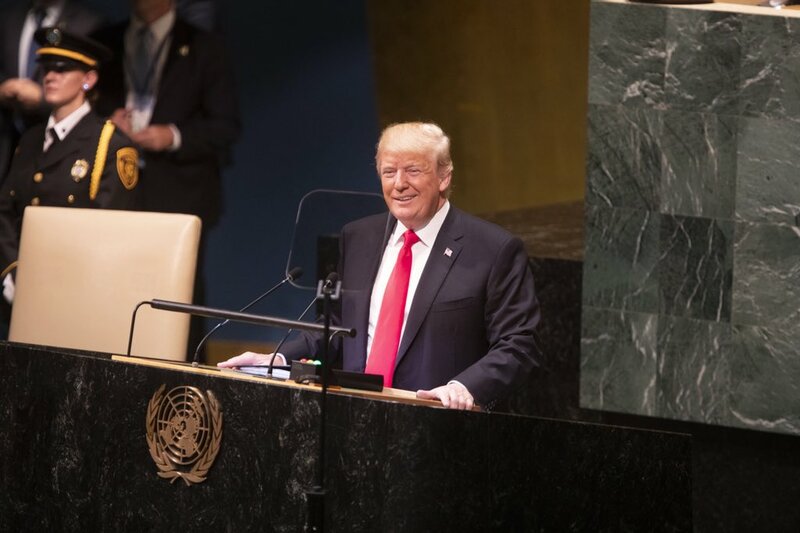 Employing all of his old political wiles, he almost single-handedly managed to thwart the president’s effort to change the court in a way that I think a lot of people today, and certainly even then, regarded as radical…. Tom Dewey, someone who tends to be written off as the guy who…. … who lost to Harry Truman. If Tom Dewey had been elected in 1948, I would — I think you would never have heard of Joe McCarthy. One, Dewey is a prosecutor. The first national political debate in America was in 1948. Tom Dewey in Oregon against Harold Stassen, the question being, shall we outlaw the Communist Party of America? And Dewey, ironically, the old prosecutor, took the civil libertarian position. But, beyond that, Dewey was a boss. He was used to having his way. Joe McCarthy wouldn’t have been allowed to become the phenomenon that he had. Dewey would have taken care of it, and Dewey would have cut McCarthy off at the knees. On cable news these days Republicans are warring for attention, as the presidential primary season reaches a boiling point, and Democrats are wondering how to win despite a wretched economy. Meanwhile the C-SPAN staff is doing what almost no one else on television does: reaching back into history for campaign lessons. 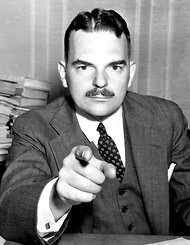 Thomas E. Dewey was twice nominated for president. 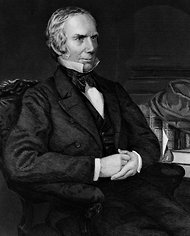 The first person to be profiled is Henry Clay, the successful speaker of the House and unsuccessful Whig Party candidate for president in 1844. Charles Evans Hughes waged a “not very effective campaign” for president in 1916. 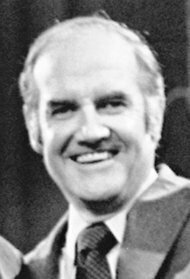 George S. McGovern, the senator who was the Democratic presidential nominee in 1972. But it’s doing so in an unusual way. On Friday night that public-affairs channel will start a 14-week series about the presidents who could have been but never were. Called “The Contenders” — purposefully not “The Losers” — the series is about politicians who lost elections but, to borrow from its self-description, “changed political history” anyway. So many failed candidates now seem to be staples of our national news diet, whether it’s Sarah Palin with her “will she or won’t she?” run for president; Al Gore, with his continuing campaign about climate change; Mike Huckabee, with his new talk-show career; or even John Edwards, with his fall from the op-ed page to the tabloid cover. But the current crop didn’t inspire the series, said Mark Farkas, its executive producer. The series starts with Clay and ends on Dec. 9 with Ross Perot, who ran for president in 1992 (and again in 1996). In between are men — they are all men — like William Jennings Bryan, the three-time presidential candidate at the turn of the 20th century; Eugene V. Debs, the union leader who ran on a socialist platform five times, once from prison; Thomas E. Dewey, the New York governor who was the Republican nominee in 1944 and 1948; and George S. McGovern, the senator who was the Democratic nominee in 1972. Mr. Smith said the producing team was careful to include an equal number of Republicans and Democrats and a “good sampling” of third-party candidates. C-SPAN’s schedule is determined by Congress much of the time because the channel is committed to showing the House of Representatives whenever it is in session. But Friday night is typically free for original programming because the House tends to dismiss itself for the weekend. In 2007 Mr. Smith was a consultant for a Friday series that was set at presidential libraries. “We were combing the treasures of the collections,” he said. Similarly, each 90-minute episode of “The Contenders” will be produced live from a location that was important in the life of the featured person. The episode about Clay will be broadcast from his former plantation in Lexington, Ky., which is significant, Mr. Farkas said, because “many of the compromises that Clay made were over slavery.” Guests on each episode will include estate or museum curators, outside historians and authors. The locations are significant because “these people are really windows into their time period as well,” Mr. Farkas said. Mr. Smith said he perceived “The Contenders” to be an alternative to the constant coverage of the current Republican primary campaign, but relevant to the coverage too. Take Mr. Perot, for instance. “Perot put the deficit on the agenda in a way that made it virtually impossible for whoever won to avoid doing something about it,” he said. Perhaps there are lessons too for the losers — or contenders — themselves. The Oct. 7 episode will profile Charles Evan Hughes, who governed New York before joining the Supreme Court in 1910. A Republican, Hughes waged a “not very effective campaign” for president in 1916, but then became the secretary of state and later the nation’s chief justice. He wrote opinions that supported elements of the New Deal and strengthened free-press protections and fended off a proposal to add more justices to the court. A version of this article appeared in print on September 8, 2011, on page C1 of the New York edition with the headline: Don’t Call Them ‘Losers’.